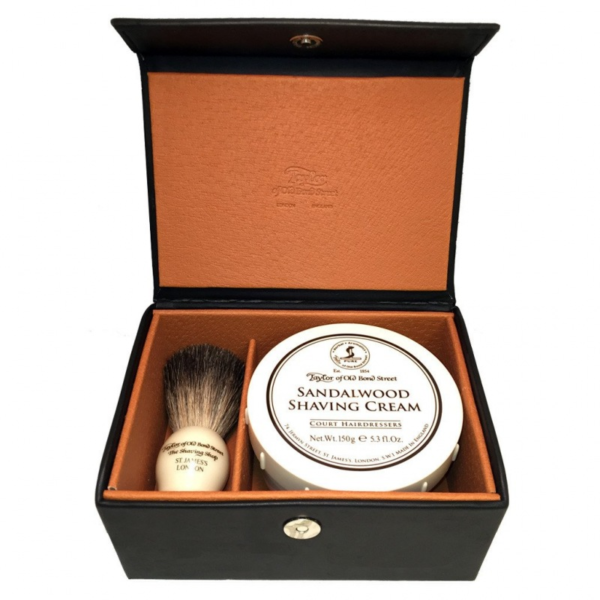 Taylors of bond street traditional shaving set, holds 150 g of they’re famed sandal wood shaving cream. Also this refined set Includes a pure badger hair brush. Presented In this delightful leather trimmed box. Circa 1865 Taylor’s have been a Mayfair establishment since mid Victorian times. This well made knotted brush will last the owner up to 10 years and will give them a great deal of lather. The perfect accompaniment to this rich Traditional shaving cream, Just adding hot water to the mix. Sandal wood Is a thoroughly masculine scent which was a popular overtone throughout the 20th century. Pure badger not only absorbs hot lather, but It also will exfoliate the skin and cleanse It’s pores. 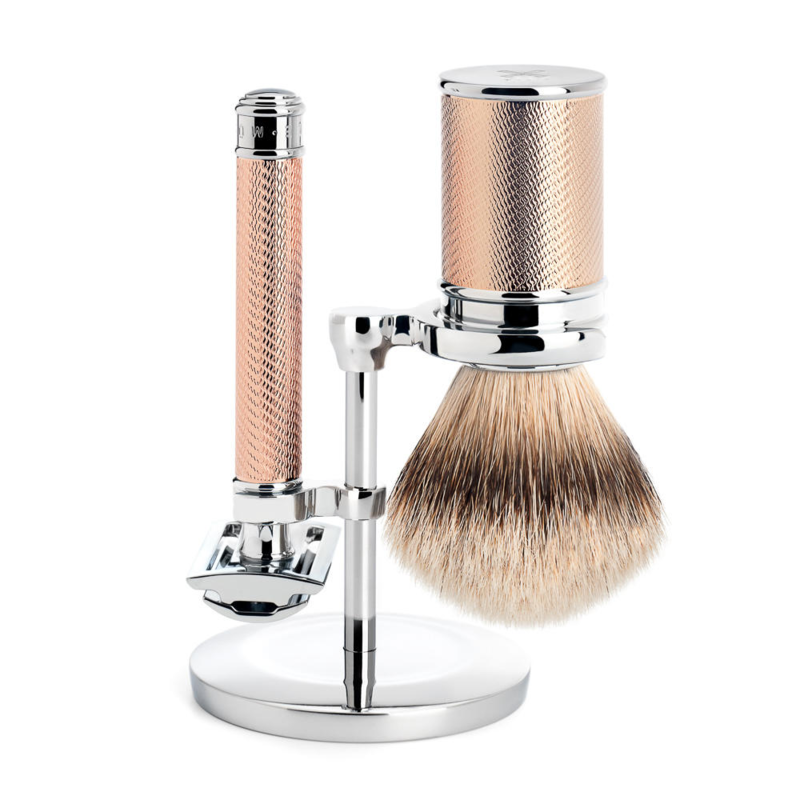 Also this rather great set will partner your razor of choice so very well. Be It a safety razor or perhaps even a straight razor, Lord knows Edward himself sometimes uses a mach 3 for haste In the twilight. The times of day not the cruddy teen horror films, ahem. 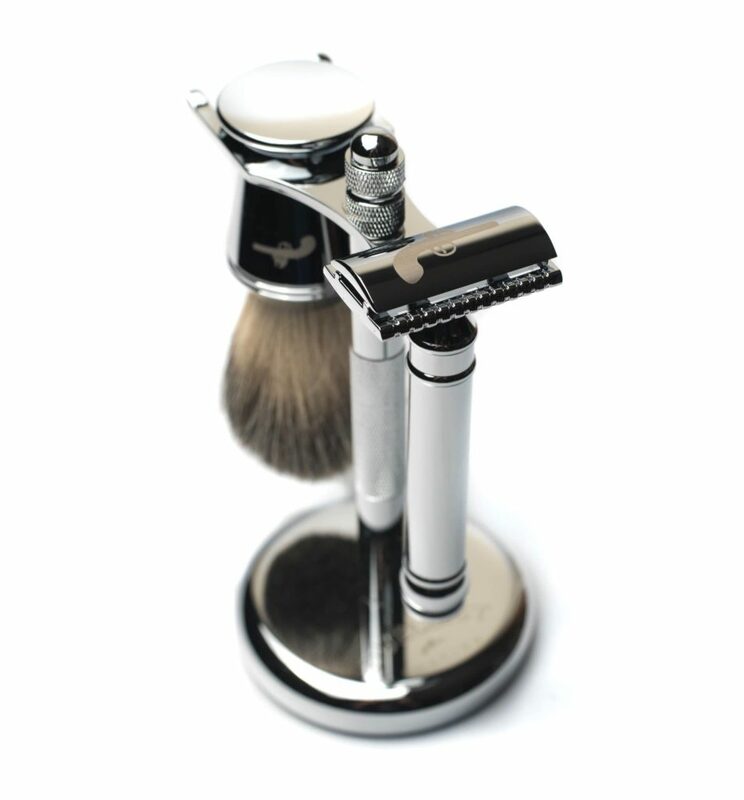 Now Edwards traditional shaving emporium are very keen to get you this product by the next working day, for no charge. 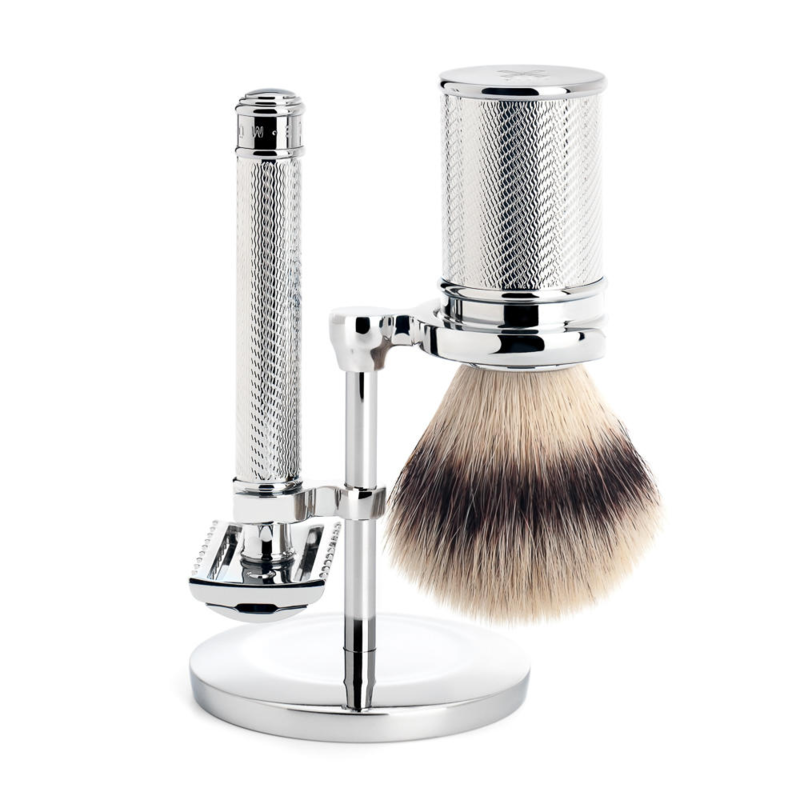 That Is correct If to the UK, for this shaving set we will not charge freight. Although abroad we would look for a very reasonable fee. 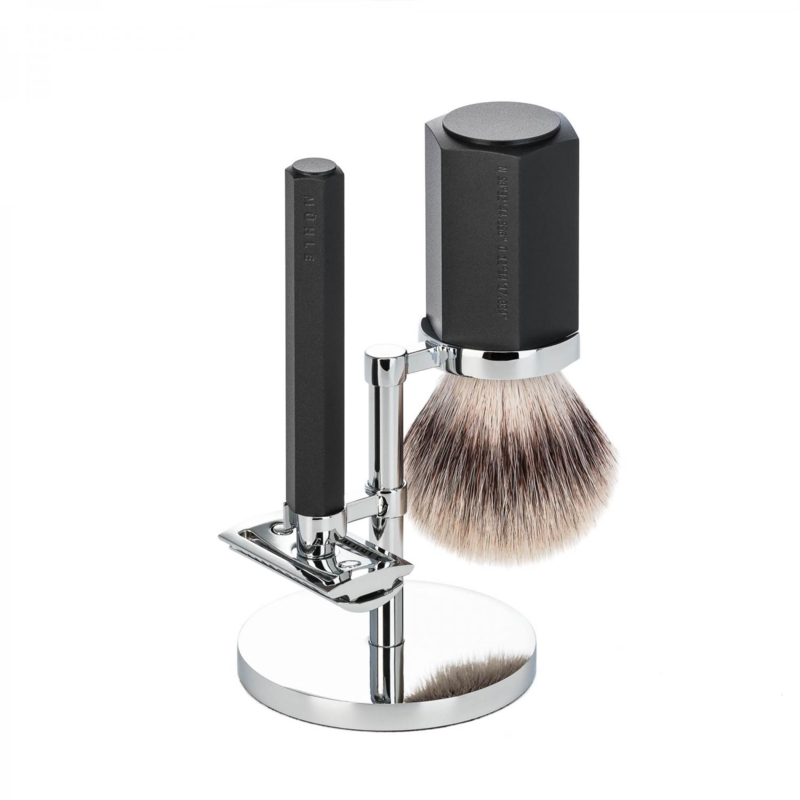 We try to lend advice on the use of safety razors and shaving sets. So get In to touch If you have any questions.